and highly sensitive to the human-animal bond and the pain of animal loss and grief. animal communication and other healing arts. Image © Rachel Hemmingson. Used with permission and gratitude. Ruah Bull, M.A., M.Ed, Ph.D.
Ruah is a spiritual director, educator and retreat leader who has been working in the healing arts since 1977. She holds an M.A. in Counseling Psychology, M.Ed.in Humanistic Education and Ph.D in Transpersonal Psychology, as well as certificates in hypnotherapy, energy healing, aromatherapy and spiritual direction. Beginning in 1986, she has trained counselors, healers, intuitives and spiritual directors in counseling skills and professional studies, and has offered programs in peer counseling and communication skills in community, church, school and medical clinic settings. She has co-authored, with Joni Keim, three classics in the subtle aromatherapy field: Aromatherapy and Subtle Energy Techniques; Aromatherapy Annointing Oils and Daily Aromatherapy and continues to cherish an energy connection with the plant/devic realm. 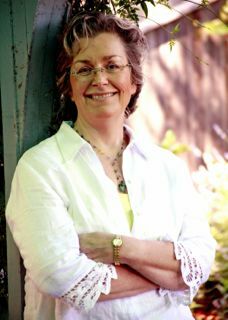 In her private practice as a spiritual director, Ruah works with people on a wide variety of spiritual paths–contemplative Christian to Buddhist to Pagan to ‘spiritual but not religious’. She also consults with many healers and practitioners around the psycho-spiritual aspects of professional issues in their practice. The foundation of her own spirituality is her love of the earth. Ruah’s first meditation teacher was her cat, Little Pearl, and her first experience of complete unconditional love was with her beloved little white dog, Molly. Currently Ruah lives with her rescued dog, 2 year old Annie, whose gift is playful joy. Her dear terrier, Humphrey, after mastering the spiritual practice of napping, passed away last year just after his 18th birthday. 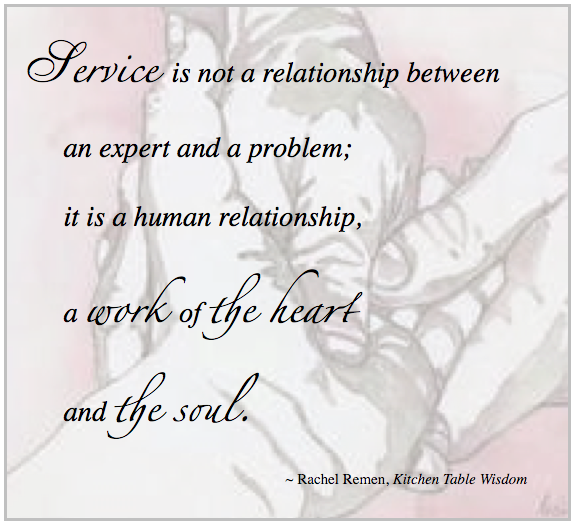 Ruah can be contacted for spiritual direction sessions at rbcapaxdei@gmail.com. 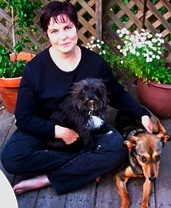 Linda is a practitioner in the metaphysical healing arts for animals, humans and the environment. She has been in private practice since 2003. Her practice encompasses various energetic healing modalities including: Reiki, Quantum Touch, TTouch, Flower and Gem Essence Therapy, and the Emotional Freedom Technique. 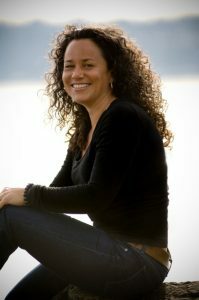 She is also an Animal Communicator with clients located throughout the United States, Canada, the Far East, and Europe. Linda began her healing practice after the passing of her beloved Rhodesian Ridgeback, Riki. Through him, she embarked on a journey that led to a spiritual awakening. In his honor, she decided to dedicate her life to help bridge the communication gap between animals and their human companions. It was also at this time she found that she had a natural ability to heal energetically. She studied Animal Communication with Carol Shultz and became a Level One Certified Animal Communication Instructor of Penelope Smith’s Animal Communication Course. She has also taken courses from Nedda Whittels and Lynn McKenzie. Linda studied the Energetic Healing Arts with Reverend Barb Rocha and Mary Baumstart. Linda served as a Board and Faculty member on Carol Shultz’s Animal Healing & Education Network, a holistic animal care distance education program. Linda developed and taught the Energetic Healing Program which included the following courses: Reiki, levels one through four, the Emotional Freedom Technique, Flower and Gem Essence Therapy, and Color Therapy for animals. She was also an instructor for the Animal Communication Workshops held in Illinois. Linda offers classes in Reiki, the Emotional Freedom Technique, and Animal Communication as well as private tutoring at several locations in the area of Lake and McHenry County, Illinois. She volunteers her services to various rescue groups, helping the animals cope with the stress of abuse, abandonment, and illness. She lives in Illinois with her husband, two dogs, an African Gray Parrot and a tank full of fish. To contact Linda for a private consultation, workshops, corporate events, and Blessing of the Animals, email: dodoe@mac.com. Evelyn Giefer is an animal communicator and holistic veterinarian specializing in energy healing and Classical Homeopathy living in central North Carolina. She has been communicating with animals since 1998 and working as a professional in the field since completing the Animal Spirit Network (ASN) Animal Communication program of study in 2010. She teaches workshops in Reiki and Animal Communication. Grounded in religion and spirituality since childhood, Evelyn became interested in physics and life sciences in college, and followed a career in wildlife biology, biochemistry research, veterinary medicine and drug development. She founded Elkin Communications in 1994 and became a freelance medical writer and consultant. Throughout her career she has maintained a spiritual outlook on healing and a commitment to helping people deal with emotions associated with animal illness, loss and grief. Because of her acceptance of both spiritual and physical reality, the study of the physical basis of energy healing and telepathic communication has been of particular interest to her. In addition to ASN courses, her post-graduate training includes animal communication and Reiki with Tera Thomas, massage therapy with Sue King, and a Professional Course in Veterinary Homeopathy with Dr. Richard Pitcairn. She established a house call practice in 2008 to offer holistic animal care and training in alternative methods of healing. Finding the optimal balance of conventional medicine, alternative therapies and spiritual healing in her animal patients is the challenge and objective of her holistic practice. She is a Reiki Master and member of the Academy of Veterinary Homeopathy, the American Holistic Veterinary Medical Association, and the North Carolina Veterinary Medical Association. Evelyn and her husband El live with a wonderful family of dog, cat, goat and chicken companions in Bahama, NC. Donna is the founder and sole facilitator of the “Friends of Nikki Support Group,” which was founded in 2001 and is located in Somerset, NJ. With Friends of Nikki, Donna provides a forum for pet parents who may benefit from peer-based support for pet loss at any stage. Donna brings the skills that she has gained from: her 35 years as an RN; the completion of the “Association for Pet Loss and Bereavement Pet Bereavement (APLB) Counselor Training” in 2004 and 2008; and her many years of studying the grief process. Donna also served on the APLB’s planning committee for the 2010 and 2012 conferences. 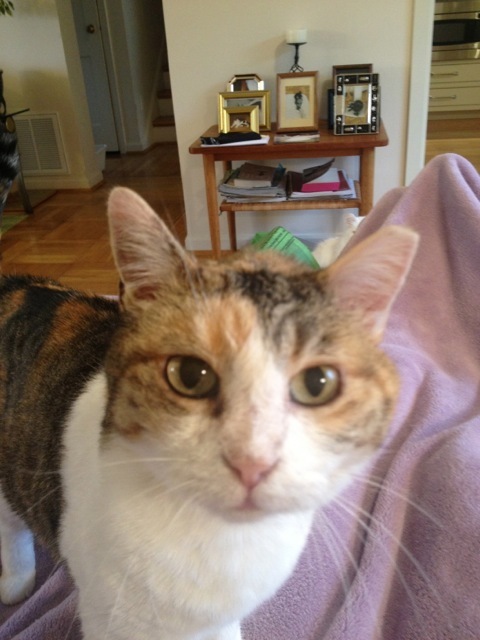 She is also a member of the “Animal Concerns Ministry” at St Matthias Church in Somerset, NJ. In May 2012, Donna presented a talk on “Guilt and Pet Loss” at the “Sixth International Conference and Training Workshop on Pet Loss and Bereavement.” In March 2013, Donna participated in the “Doggy Love Day” which was hosted by the “Ordained Vision Ministries” at the New Jersey Performing Arts Center in Newark, NJ. This event sought to help underprivileged children understand pet care and pet loss. Donna spoke about how grief expresses itself in children and ways to cope with the loss of a family pet to some of the attending children and their parents. Friends of Nikki hosts monthly meetings which often include workshops and guest speakers, to help pet parents learn about grief and health and holistic pet care. Through Friends of Nikki, Donna also provides ongoing support and resources to pet parents who seek support between meetings. 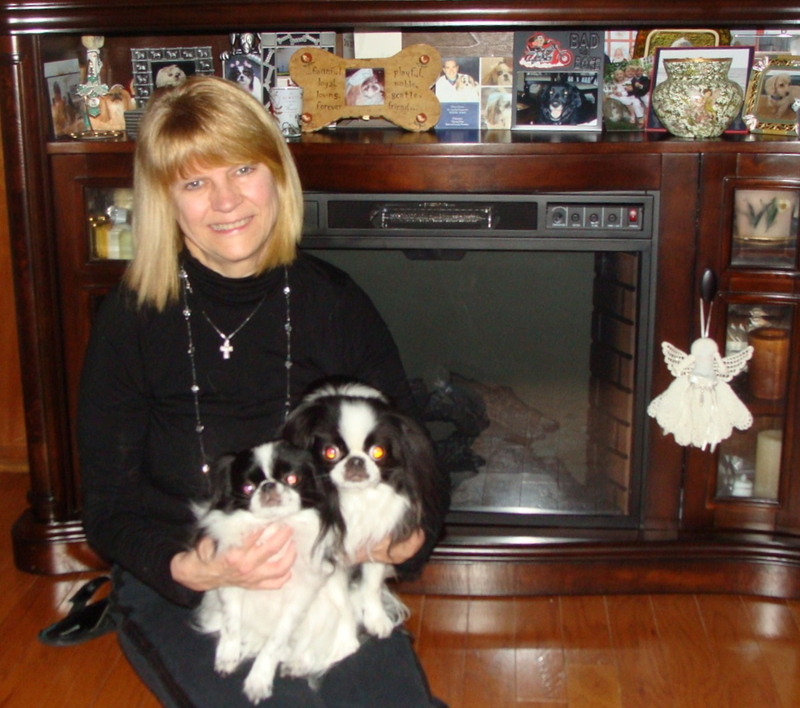 Donna and her husband, Jim, shared a canine family which has crossed to the Rainbow Bridge. Their beloved canines included: Ziggy, a Maltese; Nicole (aka Nikki) and Daniel, two Shih Tzus; and Doogie, a Pekingese. 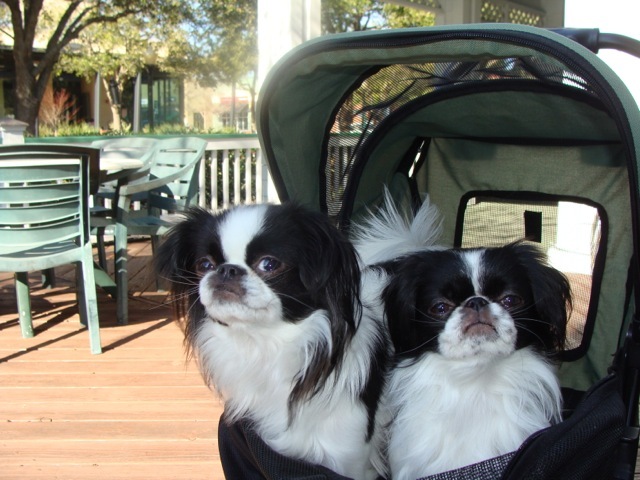 In June 2010 and February 2011, respectively, The Kahoras adopted Lilly and Tommy, two delightful Japanese Chin rescues. Lilly and Tommy bring joy to everyday life while Zig, Nik, Dan and Doog watch over the entire Kahora family, making sure that Friends of Nikki continues to help other grieving pet parents. The Friends of Nikki’s website includes Donna’s original writings about her own animal companions. Stephanie LaFarge is Senior Director of Counseling Services which is part of the ASPCA Anti-Cruelty Group Forensic Special Projects. She specializes in all aspects of the Human/Animal Bond and works in the ASPCA’s Animal Poison Control Center in Urbana, Illinois. 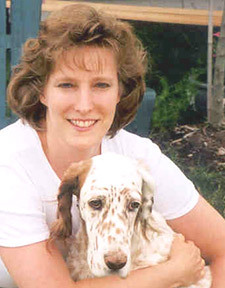 For 18 years, Dr. LaFarge has provided personalized support to people grieving the loss of their pet via her national 24-hour toll-free Pet Loss Hotline. Dr. LaFarge also assists owners and their children who are distressed by the prospect of the humane euthanasia of their companion animal. Currently, Dr. LaFarge deploys with the ASPCA Field Investigation and Response Team to natural and man-made disasters such as Joplin, Hurricane Sandy, and large multistate dog fighting cases. Her role is to provide stress reduction and resiliency training for First Responders. At the ASPCA, Dr. LaFarge developed the organization’s Animal Assisted Therapy program which places registered AAT teams in hospitals, nursing homes, courtrooms and disaster sites. She is a former member of the Board of Trustees of Pet Partners (formerly Delta Society) a leading proponent of the Human/Animal health connection. During the months that followed the terror attacks of September 11, 2001. Dr. LaFarge facilitated the remarkable contribution of more than 300 therapy dogs and their volunteer handlers. Thousands of hours of compassionate intervention were provided to families and First Responders at Ground Zero. Dr, LaFarge pioneered the use of an Alternative Sentencing Intervention with persons convicted of animal cruelty and neglect. Working with the ASPCA Cruelty Intervention Advocacy Team, she assists with mitigating the harm done by animal hoarders. Dr. LaFarge received her doctorate in psychology from Teachers, College, Columbia University for her work with children dying of cancer. She taught at Brown University and was an Assistant Professor of Clinical Psychiatry at The University of Medicine and Dentistry in Newark, NJ where she specialized in the treatment of persons with HIV/AIDS using a harm reduction orientation. Dr. LaFarge’s work with animals includes the surrogate mothering of an infant chimpanzee, Nim Chimpsky, as part of a Columbia University sign language project. 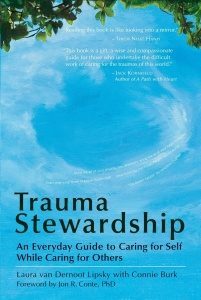 Laura van Dernoot Lipsky, founder and director of The Trauma Stewardship Institute and author of Trauma Stewardship: An Everyday Guide to Caring for Self While Caring for Others, has worked directly with trauma survivors for over three decades. She is recognized as a pioneer in the field of trauma exposure. Her book is unique in that she is one of very few authors in this field who acknowledges the trauma of animals and those who work to help animals and the environment, and discusses oppression as a root cause of trauma. She has worked with groups as diverse as animal care and reconstruction workers in post-Hurricane Katrina New Orleans, community organizers and health care providers in Japan, U.S. Air Force pilots, Canadian firefighters, public school teachers, private practice doctors, tiny non-profits, massive state agencies, libraries, the Pentagon, alternative colleges, and Ivy League universities. Much of her work is being invited to assist in the aftermath of community catastrophes whether they are fatal storms or mass shootings. She has worked locally, nationally, and internationally. Laura is also an associate producer of the award-winning film A Lot Like You, and was given a Yo! Mama award in recognition of her work as a community-activist mother. She was invited to give a TED talk in March 2015. Dr. Karen Randall is a licensed Minnesota veterinarian. She is a graduate of Colorado State University Veterinary School, a member of the American Veterinary Medical Association, the American Association of Human-Animal Bond Veterinarians, and the International Association for Animal Hospice and Palliative Care, where she serves on the Education Committee. 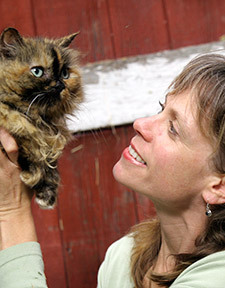 I have been a small animal practitioner and practice owner for over 18 years, first on the beautiful coast of Maine and most recently with a feline specialty practice in Cheyenne, Wyoming. One of the most rewarding aspects of being a veterinarian is becoming part of the unique relationship that people share with their pets. It is truly a privilege. The decision to start an “end of life” practice has been evolving for me over several years. Recently, I found myself faced with the illness and death of several of my own beloved pets over the span of just a few years. My decisions, as a pet owner, were intuitive. I wanted the end of their lives to be comfortable and I wanted them to be home, where they felt safe, with people they loved. As a veterinarian, I was able to assess their condition and administer medications and nursing care as needed. I was practicing home veterinary hospice care on my own pets before I even had a name for it. As their diseases progressed, I was faced with decisions about euthanasia. Although the decision was always difficult, there was ease in knowing that it would take place at home, on a soft bed, surrounded by family. I realized that these are the wishes of many pet guardians. It is my hope that Solace Veterinary Hospice will be able to offer this opportunity to more families in the Twin Cities area. Carol Schultz has been a professional Animal Communicator since 2000. 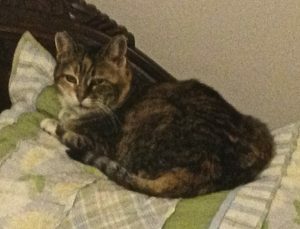 Her chosen path to assist animals and their people was greatly inspired by her feline friend, Panda, a graceful, wise, and playful companion. Although Panda has since passed into spirit, Carol’s healing journey with animals continues to evolve. Dr. Ilana Strubel earned her Doctorate of Veterinary Medicine at the University of Illinois and has been in small animal veterinary practice since 1995, always with a special interest in Integrative Medicine – treating her patients’ entire well-being: body, mind, and quality of life – especially tackling behavior problems, pain management, and mobility issues. She completed the Donald G. Low-CVMA Practitioner Fellowship with the UC Davis Veterinary Teaching Hospital’s Behavior Service in 2005, and became a member of the American Veterinary Society of Animal Behavior (AVSAB). 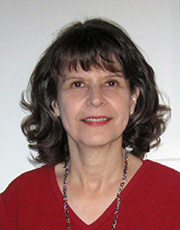 In 2011, Dr. Ilana completed training in Veterinary Spinal Manipulation Therapy (VSMT/Chiropractic), at the Healing Oasis Wellness Center focusing on both functional neurology and chiropractic adjustments, and became a certified member of the College of Animal Chiropractors; she was also certified in Animal Acupressure through the Tallgrass Animal Acupressure Institute in 2012. In 2014 she became a Certified Canine Rehabilitation Therapist (CCRT) through Canine Rehabilitation Institute, with additional training in Sports Medicine and Conditioning, Geriatric Patient Rehabilitation, Nutrition, and Veterinary Orthotics and Prosthetics. Dr. Ilana is a member of the Association of Animal Rehabilitation Veterinarians (AARV). In addition to an unshakable commitment to her own patients and practice, Dr. Ilana is passionate about volunteering with and supporting a number of important local community organizations. She currently serves on the board of Paw Fund – assisting with free vaccination, spay/neuter, and animal rescue and adoption for low-income pet owners in the East San Francisco Bay Area, and is credited for being the founder of Veterinary Street Outreach Services (VET SOS) where she volunteered as Project Coordinator for 12 years providing high quality, free veterinary care to the pets of San Francisco’s homeless community. Dr. Ilana has also served on the board of Pets Are Wonderful Support (PAWS-SF), San Francisco Aid for Animals (SFAFA), and Rocket Dog Rescue. Out of love and adoration for disabled, senior pups, Dr. Ilana currently volunteers with the veterinary department of Muttville Senior Dog Rescue, offering unique support to geriatric dogs with pain and mobility deficits. 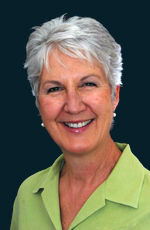 Judy is a psychotherapist, an inspirational and popular keynote speaker, workshop leader, and professional trainer. She grew up in Rochester, New York, and is a graduate of Syracuse University and Simmons College, School of Social work. She worked at Massachusetts Mental Health Center, Boston, and Payne Whitney Clinic of the New York Cornell Medical Center in New York City before starting her private practice in California. She now lives in Carmel Valley, California, with her husband, Allan Marcus, and her dog, Honey. She is the author of the best selling books, The Courage to Grieve and You Don’t Have to Suffer. A foremost authority on overcoming grief and emotional suffering, Judy encourages people to face and recover from life’s inevitable crises courageously. She has many years experience working with individuals in therapy facing issues of grief, loss and and life transitions. A pet lover and owner, she also works with issue related to pet health concerns and pet loss. She works extensively with mental health professionals, hospitals, hospices, bereavement groups, funeral directors, and AIDS programs. Judy appears on television and radio, and lectures across the country. She recently produced the award winning DVD The Courage to Grieve, The Courage to Grow and audio tapes, The Caregiver Series: Caring for the Caregiver, Enhancing Self Esteem, The Power of Saying Good-bye, and The Special Grief of HIV and AIDS. Her most recent book is The Journey From the Land of Forever Flowers, A Fable About Afterlife. All publications are available from her web site. She can be reached at jmiracle@comcast.net and www.judytatelbaum.com and is available for private consultations. 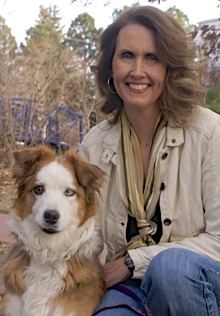 Kristin Thompson is an Animal Communicator, Interspecies Life Awareness Coach™, and Teacher. She has a full time private practice working with human and animal clients locally and throughout the country, offering animal communication consultations, courses, and specialized coaching for people through connection with animals and nature. As part of her practice, Kristin teaches courses in Animal Communication (Basic through Advanced Levels), Animal Communication for Kids, Reiki for Animals, Loss of an Animal, and other animal/nature related classes. She finds her work most satisfying while facilitating courses, private consultations, coaching, and mentoring, helping to bring people to an understanding of animals and themselves as unique and whole spiritual beings in this journey of life. Kristin lives with her husband, children, and animal family (horses, cats, dogs, and goats) on a sacred farm in Western New York State. Enid received her B.A. Degree from the University of Kansas in l980. In 1986 Enid completed her Masters in Social Work from Portland State University, specializing in Grief Counseling. In 1989 Enid became a Certified Thanatologist through the Association for Death Education and Counseling. In 2004 earned her certificate as a Compassion Fatigue Specialist through Humane Society University. Enid is the author of five published books. Four are for human loss published by the Centering Corporation in Omaha, Nebraska. Enid’s fifth book is a guided remembrance journal especially designed to support and help bereaved pet owners navigate life without their beloved pets: My Personal Pet Remembrance Journal. In October of 1986 Enid founded and continues as the director of the Dove Lewis Pet Loss Support and Memorial Art Therapy Program. Enid facilitates the four support groups each month, provides art therapy for the community and DoveLewis staff each month. Enid presents workshops to the staff at DoveLewis and veterinary clinics and conferences around the country about pet bereavement, compassion fatigue and the human-animal companion bond. Note about elephant photo: Enid’s visit with a baby elephant is at the Patara Elephant Sanctuary in Thailand, which is a rescue facility, *not* a captive entertainment venue. Teresa has loved and communicated with animals all of her life. It is being with animals that brings her to the core of her soul while here on earth. Animals and helping animals and the people who love them provide great meaning, guidance, joy, and purpose in her life. Because losing her own animals has brought her both acute emotional pain and lasting spiritual growth, she decided long ago to devote much of her work to helping others find the growth and gifts that the grief healing process can bring. 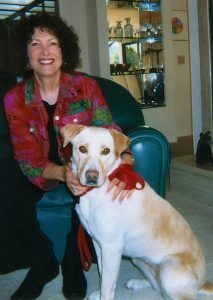 She held her first pet loss workshop in 1986, has had a private animal communication and grief counseling practice since 1991 and she has worked with over 10,000 clients in over 21 countries. She is the author of the audio book Legacies of Love, A Gentle Guide to Healing from the loss of Your Animal Loved One and has created several other pet loss grief support products and services. Teresa’s entry into the fields of grief recovery and traumatic stress began when she experienced her first the loss of an animal, as an adult, in 1985. Rocked by her grief and unable to come to terms with it, she sought therapy and began a rigorous review of the grief literature. Later she studied with Stephen Levine, Elizabeth Kubler Ross and John James of the Grief Recovery Institute. Over time, these sources helped her heal and understand the grief recovery process. This motivated her to design and offer grief workshops to help others through this disenfranchised loss. Teresa has worked with thousands of grieving humans, individually, in workshops, and in bereavement support groups. In a year long consulting project with a hospice, she conducted research to identify the competencies needed for effective grief support, resulting in the Grief Support Competencies Profile. In conjunction with FES (Flower Essence Society) Teresa developed a flower essence formula, The Animal Relief Formula, to address the issues unique to the traumatic stress of animals. She is a member of the Association of Death Education and Counseling and has presented at their international conference. From 1999-2015 she facilitated whale swim trips to bring whales and people together in sacred communication and love. She also works with captive and entangled whales to help them with the emotional and physical stress and trauma inherent in these situations. Teresa is passionately concerned about the U.S. pet overpopulation epidemic, the trauma this creates for the animals, and the grief and compassion fatigue experienced by shelter and rescue employees as well. For eight years she provided compassion fatigue workshops to shelters throughout the U.S. She created the Animal Loss and Grief Counseling Training and Certification Program, originally under the aegis of the Animal Spirit Network, in 2007. Teresa earned a master’s degree in counseling from Villanova University and an undergraduate degree in psychology and criminal justice from Alvernia College, where she graduated with honors. She also completed post graduate work at Columbia University, with Carl Rogers at the University of Nottingham, England, and completed the Clinical Training Program in Post Traumatic Stress Disorder at the National Center for PTSD, Dept. of Veterans Affairs. She studied animal communication with Jeri Ryan, her beloved and respected teacher and mentor who founded the Assisi International Animal Institute. In the 1980’s, Teresa held a series of management positions with RCA, heading training and organization development departments in New York City and New Jersey. In the late 1970’s she was a counselor and trainer for the National Training Institute of the Juvenile Justice Center in Philadelphia. She has been named to Who’s Who of American Women, Outstanding Young Women of America, is the recipient of the RCA President’s Award, and an American Society of Training and Development Award for Outstanding Contribution. She has also received the Gwendolyn May Award for Humanitarian Work Extending Beyond Monterey County by the SPCA of Monterey County, CA. She has been a regularly invited speaker to national conferences for organizations such as The Humane Society of the United States and the Association of Death Education and Counseling. She has served on the faculty for The American Humane Association and on the boards of Horse Power International, The Assisi International Animal Institute, and is Past President of the Wildlife Auxiliary of The SPCA of Monterey County in California. Teresa lives in Carmel, California and considers herself deeply blessed to live so close to the Pacific Ocean and all the beings living in it. Windi is a Registered Veterinary Technician with more than fifteen years experience in veterinary medicine and animal welfare. Before finding her passion in animal protection and advocacy, Windi received an undergraduate degree in psychology and worked for several years as a crisis intervention counselor. She found her calling in a small Midwestern animal shelter where she managed operations for several years before moving to California and continuing her work in animal protection. 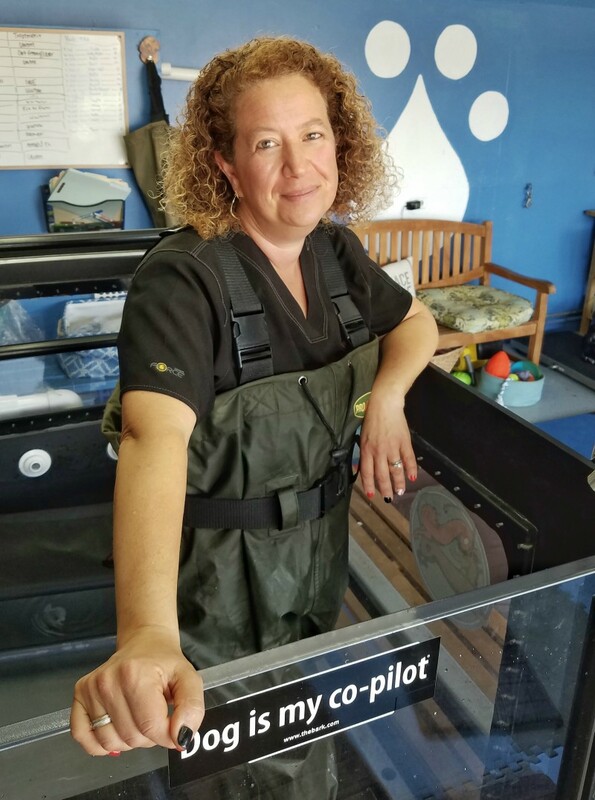 Since becoming a licensed veterinary technician in 2000, she has worked to develop bridges between the veterinary and animal protection communities. She has taught various aspects of animal care and medicine to animal shelter staff and volunteers as well as veterinary students and professionals. She is currently the director of a national non-profit veterinary outreach program combining community service and veterinary education to bring free veterinary services to under-served rural communities throughout the world. Windi’s professional interests include shelter and field medicine, companion animal anesthesia and pain management, euthanasia and end of life care. Windi has dedicated most of her life’s work to animal protection and advocacy and is continually in awe of the resiliency of spirit of those who suffer and those who strive to relieve suffering. She sees the act of euthanasia as a sacred responsibility and finds deep meaning in guiding animals and their human guardians through this important time. Dr. Woods is a specialist in integrating holistic medicine, especially Traditional Chinese Medicine (TCM), which includes acupuncture, Chinese medicinal herbs, Tui Na, and other TCM derivatives, into treatment plans that complement any western (allopathic) medicine being used. She is trained in using TCM for animal patients as well as human patients. And because of her extensive background in public health and human allopathic medicine she collaborates with DVMs and MDs intelligently and effectively. Often her canine and feline patients have serious, complicated diseases, sometimes labeled “terminal” by their Veterinarian. Dr. Wood’s care focuses on today and the current barriers to balance and well-being. She cares not for “prognosis” or predicted outcome. She cares about fine-tuning the body’s energy to allow it to bring its life force to bear on the imbalance (disease). She finds that each body has it’s own unique wisdom and will often use her therapies to heal/repair whichever system truly needs it first. Her clients find that their beloved companion is more active, more comfortable, feels better for much longer than without the therapies Dr. Woods uses. Dr. Woods finds that her patients tend to experience a higher state of well-being until their body is truly ready to release their spirit. Her training in using customized herbal formulas to obtain this heightened state of well-being has underwritten skills and knowledge that set her apart from other holistic clinicians. All of her 7.5 years of formal training, including earning a Master’s degree in Traditional Chinese Medicine (MSTCM), a Doctorate in Acupuncture and Oriental Medicine (DAOM), and a Diplomate in Oriental Medicine (Dipl. OM) included in-depth training in the effective combination of herbs, especially Chinese herbs. And her residency at Yue Yang Hospital in Shanghai, China provided in-depth experience in it’s clinical application and research. Dr. Woods began her career as an entomologist, studying mosquito-borne diseases including viral encephalitis and malaria in Florida. Later she studied natural population control of the common cockroach using growth-inhibiting pheromones. After earning her MBA in night and weekend classes at San Francisco State University, Dr. Woods shifted to a career negotiating contracts for sponsored research and collaborative research for such entities as biotech companies, NASA, the U.S. Department of Energy and the University of California. It was while working for a major biotech company that her passion for animals was re-ignited. Employees were free-feeding a large number of feral cats that lived on the property. But no one was getting them spayed. This was at a time when “trap-test-vaccinate-neuter-&-return” was not a commonly-known concept. As she watched kittens born into this difficult life and grow up without real shelter from the elements and without any form of help when they fell ill, she knew something had to be done. 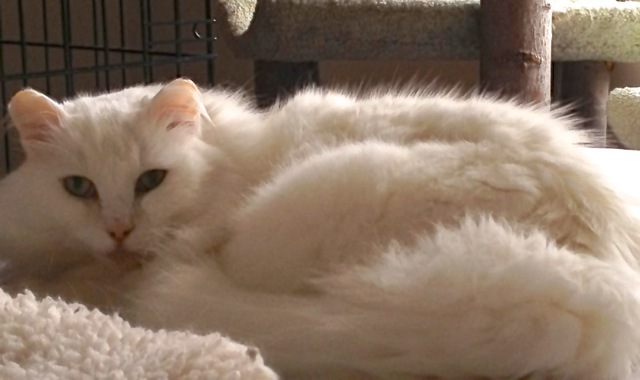 She spoke with the local Humane Society and found that they had recently received a rather large gift from a donor that was earmarked for the care of feral cats. They were looking for a way to use it. Her negotiation skills came into play as she forged an agreement with the Humane Society and then negotiated with corporate executives to get a three-party agreement, signed and legally effective. The humane society agreed to test, vaccinate and neuter all cats and kittens trapped on the property, at no cost. The employees agreed to trap all feral cats on the property, with special focus on socializing all kittens and socializable and dumped-socialized adults and finding adoptive homes, thus returning to the colony only those cats who could not be socialized. The employee-volunteers agreed to keep statistics on the numbers of cats caught, socialized and placed, released back to the colony, etc. And the company agreed to allow the program on-site, to notify the employee-volunteers if cats/kittens were found in a sensitive location, if a new-to-the-site cat was spotted, and to not at any point destroy the cats. This employee-volunteer group, decades old now, still exists. They can demonstrate using their data that simply by neutering the cats and then keeping them well-fed, by removing and finding homes for all those who can be socialized, that they have reduced the numbers of feral cats on the property to one-third the original population. They have helped to create a smaller, stable, healthy colony of cats who protect their turf, keeping interlopers out thus preventing colony growth. Dr. Woods says that this is still one of the most important things she has done in her life. And she is extremely proud of and honored by the continued dedication and passion of the ever-changing and growing fleet of employee-volunteers. Dr. Woods as been care-giver to over 10 cats in her adult life, all of them former strays or ferals. She has been foster to many more cats, before they found their forever homes. And she has been god-mother to two dogs. She now has three cats in her care. So she has dealt with end-of-life care and concerns with her own companion animals, as she has done in her professional life. She brings dignity and compassion to the situation. She brings a gentle medicine that considers the whole patient and seeks the best balance possible, which translates to greater comfort, and often longer and more comfortable survival times. Her fondest hope is that someday Traditional Chinese Medicine will be seen for its preventative medicine capabilities. When this is the case, people will think of it at the first sign of imbalance, such as when they or their companion animal have a sensitive stomach, or are prone to being grumpy and irritable. They will think of it when they have a feeling that their beloved companion seems “off”, but all their exams and lab tests are “normal”. Currently, it is more likely to be thought of after all else has been tried and failed. Certainly, at this time it can be very helpful in increasing the comfort and well-being of the patient. But it is her hope that someday, we will turn to it far earlier and use it to prevent the disease or greatly delay its onset.